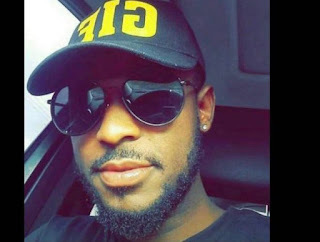 Lagos state Nigerian Police, has on Monday arrested the suspected team of the Federal Special Anti-Robbery Squad, FSARS who allegedly killed Kolade Johnson, on Sunday. Kolade who was watching a football game ,was reportedly murdered by FSARS operatives who had visited his residential area on Sunday afternoon, to arrest one of the boys of a major music producer who was wearing dreadlocks. Following wife spread outcry , Police has arrested those responsible for his death. On 31/03/2019 at about 5.05pm, the Command received a distress call that Lagos- Abeokuta Express Way has been blocked by some angry youths who were protesting the shooting of one Kolade Johnson m of No.1 Beco street, Onipetesi, Mangoro Bus Stop by a team of Policemen from Anti Cultism unit. A team of policemen from the Rapid Response Squads and Metro patrol were promptly drafted to the scene. The account of eye witnesses helped in identifying the team which fled the scene immediately after the incident. Members of the team suspected to be involved in the shooting have since been arrested and are currently in Police custody undergoing interrogation. They will be subjected to internal disciplinary procedures, and may be prosecuted in conventional Court if implicated by ongoing investigation. Meanwhile, the Commissioner of Police Lagos State, CP Zubairu Muazu mni calls for calm, assuring that justice will prevail in this case. The Commissioner of Police also condoles with the family, friends and well wishers of Kolade Johnson. The CP has promised to initiate far reaching reforms to help in repositioning the Anti Cultism Squad for effective service delivery, particularly in areas of respect for Human Rights and proficiency in the use of firearms. Members of the Public who have complaints on the activities of Anti Cultism Squad or any of our Police teams should call the following numbers 08063299264, 08065154338 and 08060357795, please. Meanwhile, the CRU has registered the unfortunate death of Mr Kolade Johnson as a case of Excessive Use of Force, Tracking No. #CRU275741. Lagos State Police is treating the case as a homicide, CP Lagos will brief the public on this case today.